An almost forgotten skill is the swinging bunt, often referred to as a “slash”, a “butcher boy”, “slug bunt”, or other name. 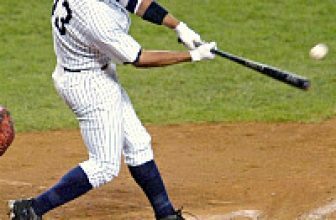 Whatever you call it, the action is pretty much the same: the batter squares as if to attempt a sacrifice bunt, then pulls the bat back slightly and swings at the pitch. The goal is to chop down on the ball and hit it over the head of, or past, the charging third baseman or first baseman. It’s possible you’ll never see this play at the Major League level in your lifetime, but it can be a deadly weapon at the high school level on up. Any player on the team can learn it, and be effective, simply by practicing it on a daily basis. It should be part of every player’s batting practice routine; for example, make the slash be the last two or three swings of every session. A team that can execute this play will almost always get a hit the first time, and prevent the opposing team from over-charging every other sacrifice situation for the remainder of the game. Even if a batter only shows the slash, it will force the corner infielders to be tentative and less aggressive in defending the bunt. To make the play even more effective, you can execute it as a slash and run, by putting the runner in motion. It’s a risky gamble, and should only be attempted if there is an excellent chance the pitcher will throw a strike. A well executed slash-and-run should put runners on first and third. How to execute: in a sacrifice situation, the batter should square just a hair earlier than normal, in order to enforce the idea that a bunt is about to be attempted. If you square too early, the corner infielders might think something is up; you want them to be charging and charging hard. The bottom hand should be about an inch or two from the knob of the bat, and the top hand an inch or two below the absolute middle of the bat. 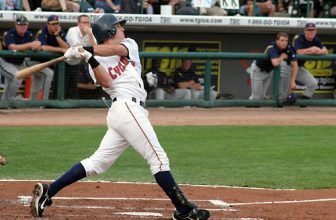 Keep the bat in bunting position until the pitcher’s throwing hand breaks from his glove and goes back; at that point, quickly move the hands together (you’ll be choking up fairly high) and, staying square to the pitcher, bring the bat up and back toward your top-hand shoulder. Lead this motion with your top hand; you top thumb should reach a point about 1-2 inches above your shoulder. If the pitch coming in is reachable, punch the barrel of the bat down on top of it, again leading with the top hand.? Whether you punch it toward the first baseman or third baseman depends on where the ball is pitched; with practice, you’ll learn how to react to inside and outside pitches. Use either of the charging infielders as your target, making sure the ball gets to the ground. This is especially important if the baserunner is in motion, because a line drive can result in a double play. If you get a pitch to handle, and execute properly, you should be able to knock the ball past the charging cornerman. Next Balk? Or Base Hit?